Will Smith's Genie is also very buff and tall. A couple of months ago, we were greeted with a first look into a whole new world of Aladdin in Disney’s live-action remake of the animated film after 27 years. 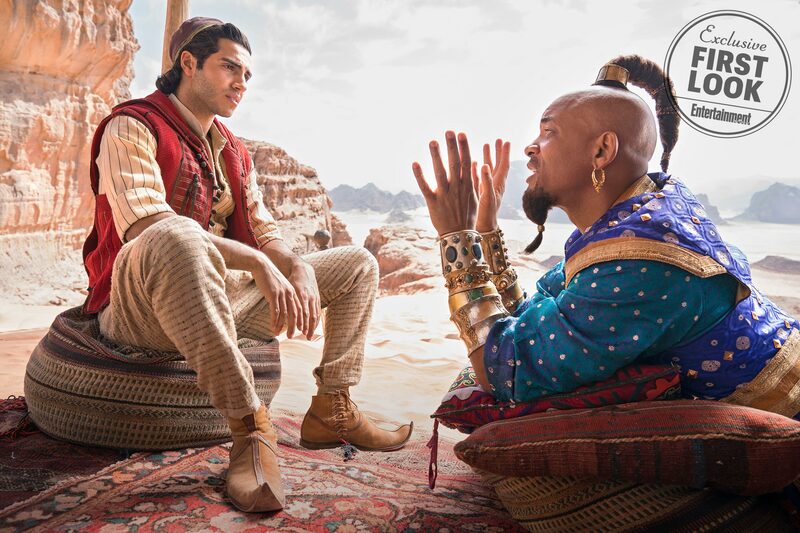 Mena Massoud plays Aladdin, Naomi Scott stars as Jasmine, Marwan Kenzari as Jafar, and Will Smith plays the iconic Genie. After the debut trailer last October, long-time fans of the Disney classic were left craving for more. However, when more ‘First Look’ photos were released from the upcoming remake last December, many people had a lot of questions about Genie. Firstly, because he is not blue and another thing, he looks very much like Smith in every other movie of his, unlike the Genie we all used to adore. Naturally, there were several complaints. 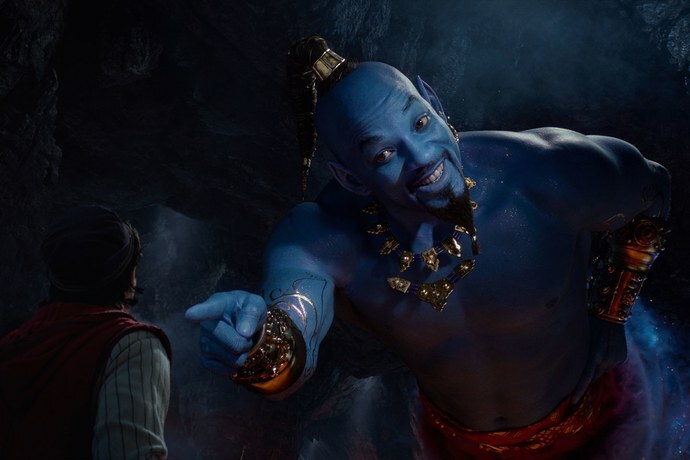 Fortunately, Disney has released another trailer for Aladdin at the 61st Grammy Awards and in this actual “first look” of Smith’s Genie, he is actually blue! The actor also took it to Instagram to reveal his blue-ness as proof. Besides the very blue, very tall and very buff new Genie, the trailer also features more looks at Jasmine, Aladdin, Jafar, the city of Agrabah and the magical Cave of the Wonders. Will Smith be able to outdo the late Robin Williams’ former role as the iconic character? All we know so far is that he will be bring a hip hop flavour to the role, which we are still struggling to imagine at this point. 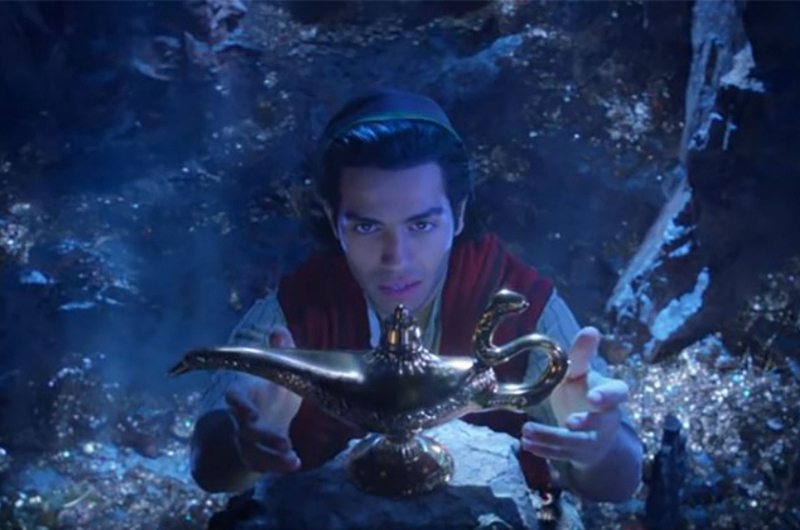 But with remakes of original songs from the 1992 film accompanied by some fresh tunes, we trust that many Disney fans and Millennials who grew up in the 90s are more than ready to welcome the new Aladdin. The live-action movie premieres in theatres globally this 24 May.